Every brand will encounter crisis in its lifetime. No brand is immune from crisis. There are varied degrees of crises. Some are known, based on associated brand environment. 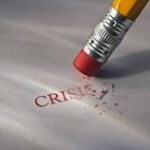 Certain crisis may be unknown, unpreventable or what is considered crisis beyond human control. For instance, crisis like earthquakes, flood often come when we do not expect them. Under controllable crisis for individuals or corporate brands are issues like unguarded statement, wrong attitude that is affecting workplace culture, exposure of classified information and improper financial management among others. What happens to a brand before and during crisis will determine the brand’s future. The import of this statement should guide brand leadership, custodians and communicators in handling crisis. Crisis management requires great insight and hindsight. Crisis is comparable to war. Army Generals know no battle is won without strategy. In addition to this, no wise general pushes his best hands into the warfront as soon as the war starts. The war General (Brand strategists in this context) also understands judging the crisis only on its face value can mislead strategy formulation and eventual failure of all resources committed into the process. The irony of life is that many are distracted with the noise of the crisis so much that they get carried away with the noise of the crisis thereby concentrate on its superficiality. Never forget strategy implies scheme, plots, tactics, approach and line of attack. In order to get it right adequate research of the major issues are required. In addition to this, the opposition must be understood and their major concerns, strengths and weapons carefully studied. If a brand desires to win in crisis, here are suggestions on how to develop strategies that win. Do not wait until it happens to you, learn from others. Constantly monitor issues: Issues are the bedrock of crisis. Most crises are product of prolonged issues left unattended to over a long while. No issue capable of creating tension should be taken with levity. Gauge stakeholders pulse: in addition to the above, successful brand communicators should not ignore stakeholders’ pulse. That dictates the health of the brand invariably. Work out plans on paper: Brands succeed or fail at the strategy levels. Everything must first be worked out on paper. Key stakeholders’ inputs must be solicited and respected. Crisis plan must be developed before it happens. Brand custodians and communicators must take a cue from the house builders. The paper work of Architects and structural Engineers may look unimportant but those designs will dictate whether the house will stand or not. These aforementioned professionals always start their work even before the building process commences. Crisis communication plans must be in place before crisis starts. This plan will guide information management and roles of spokesperson. Crisis Communication team: Crisis requires ongoing communication based on the present circumstances and impact of the crisis;progressive efforts being made by the brand leadership and communicators. Remaining silent or having many spokespersons outside the assigned team will damage brand’s strategy. The challenge Federal Government of Nigeria during this fuel subsidy crisis aside from lack of proper understanding of issues is that many of these spokespersons on behalf of government instead of adding value to the conversation are increasing antagonism of people against it.